During his State of the Union address in 1990, President George H. W. Bush addressed Congress and the American people with a sense of hope. The Berlin Wall had been torn down a few months prior, and the Cold War was quickly ending. Freedom was gaining ground all over the world, especially in nations breaking away from the Soviet Union. President Bush spoke of these victories and others, but he asked his own generation to tell their children and grandchildren of the hard-fought battles, sacrifice and struggle so they would know the cost of freedom. “Every American has a story to tell,” he said. Few Americans have a story of service and sacrifice to tell like George H.W. Bush. In 1942, not long after the United States entered World War II, Bush chose to let Yale University wait. He enlisted in the Navy on his 18th birthday and was sent to combat in the Pacific the next year. Bush flew 58 combat missions and survived two crashes, one in which his aircraft was shot from the sky, nearly killing him. He went on to earn the Distinguished Flying Cross, but always lived with the weight of those who didn’t make it back with him. He returned to the United States as countless others did, ready to resume life in a freer world. He married, attended Yale and moved his young family to Texas. After years in business, he began serving his country again, this time in the House of Representatives. He went on to serve as ambassador to the United Nations, envoy to China, director of the Central Intelligence Agency, vice president under Ronald Reagan and president. His legacy would be defined by victory in Operation Desert Storm. Under his leadership, a U.S.-led coalition quickly expelled Iraq after its invasion of neighboring Kuwait. His influence lives on in the Middle East as a grateful Kuwait honored his memory by displaying his portrait on the Kuwait Towers. Bush was the last president to oversee a war after having fought in a war himself. His experiences in the Pacific informed the difficult but resolved decisions he made as president to send men and women into battle. This week a grateful nation lays to rest a man who spent his life serving his country and holding freedom in the highest regard. 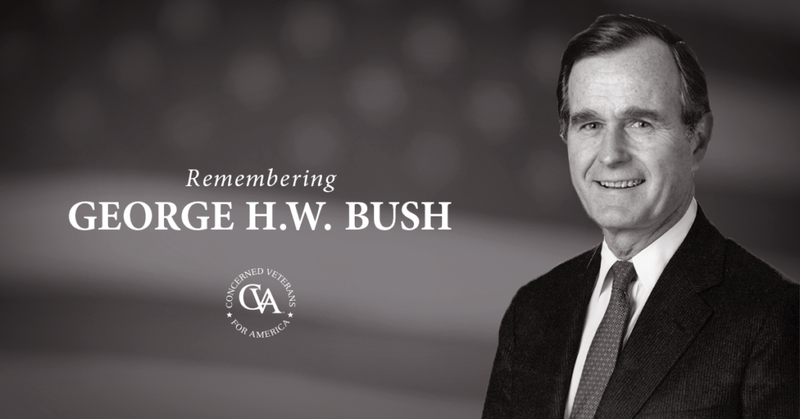 Every American has a story to tell, and George H. W. Bush’s will live on as one of honor, integrity and steadfastness.